NAFC School Corp. Surplus Online Auction — Harritt Group, Inc. 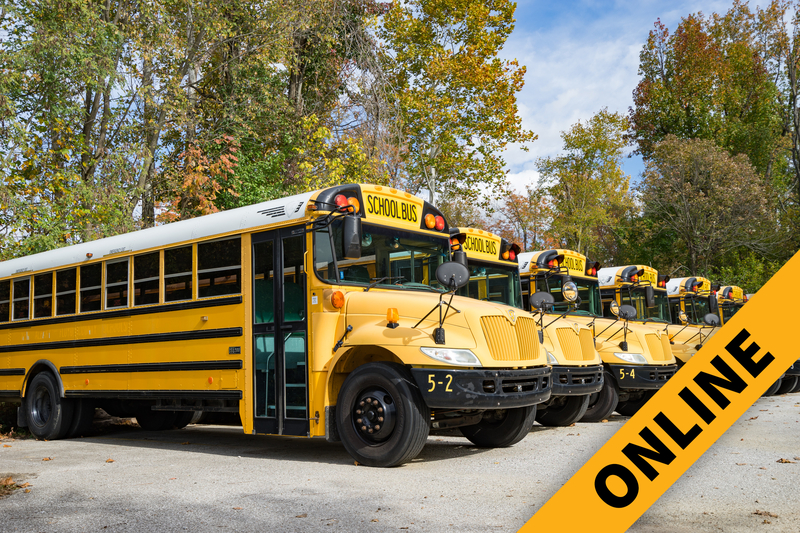 Selling to the highest bidder at absolute auction the following surplus school buses. 2005 International IC CE200 school buses with VT365 V8 diesel engines, automatic transmission, appx. 150-200K miles include (11) 66-passenger and (4) 30 & 37-passenger handicap accessible buses just recently removed from service plus (2) as-is chassis and body parts only buses, no engines. I-265 to Charlestown Road Exit # 4. North to immediate right into Prosser School of Technology.